Made with Acacia veneers and Poplar solids, finished with a grayish brown wire brushed finish. Legs are finished with a contrasting faux metal color. 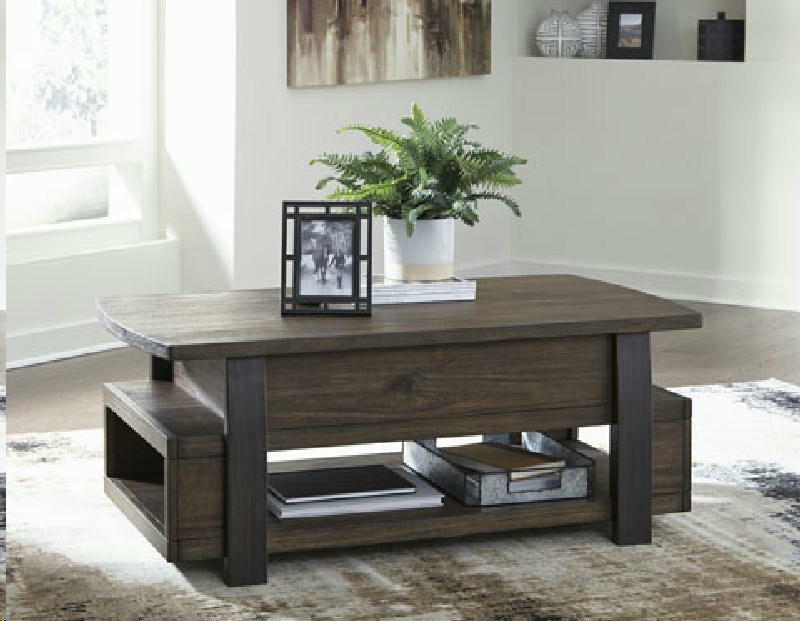 Floating top look on all tables with interesting breakup of storage compartments. Cocktail table has lift-top functionality. Chair side table features a door cabinet with magazine rack on back side. End table has a floating open box storage effect.